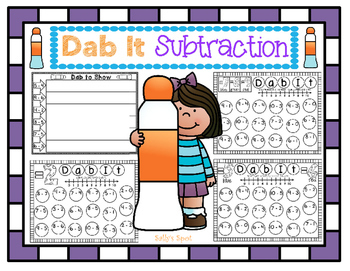 This is a great activity to use in a math station. Children love to use paint dabbers. If you don’t have paint dabbers, the children can color the circles instead. Paint dabbers are well worth buying. 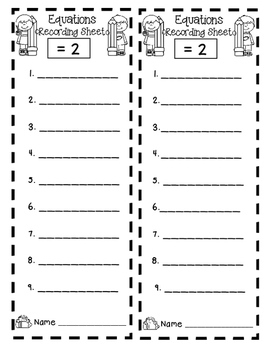 The children will use the number line on each page to solve each equation. They will dab all the equations that equal the given answer/difference. 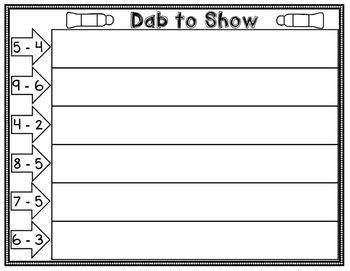 There is a recording sheet included to record all of the equations dabbed. 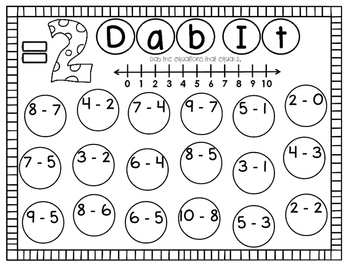 The children will dab the number of dots for the minuend and then X the number of dots for the subtrahend to get the answer. They will record the equations on the recording sheet. There are 5 of these sheets.